An Indian tea company has delivered a huge consignment containing 6,000 bags of famous Assam green tea to Donald Trump with a message to the presumptive Republican presidential nominee that it is never too late to ‘cleanse yourself’. This woman just sued KFC for $20 mn, because family bucket wasn't filled to the top! 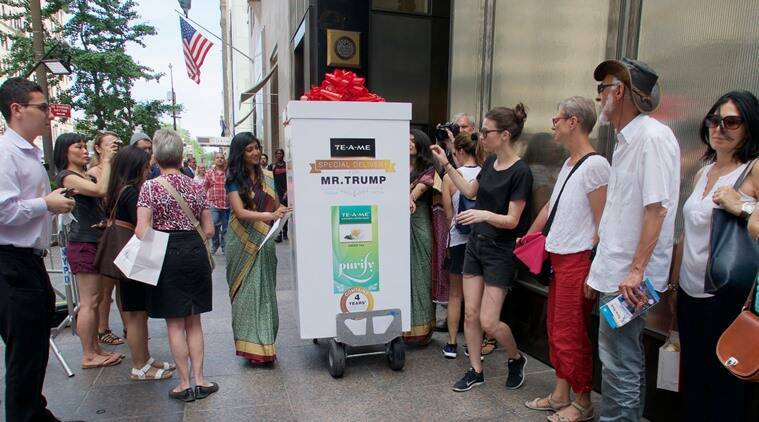 “The message is simple: Mr Trump, it’s never too late to cleanse yourself,” the company said yesterday, a day after its representatives delivered a consignment of some 6,000 green tea bags to the Trump Towers in New York. “Donald Trump has the whole world worried… we can’t stop him, but maybe we can change him,” the video said. “If he needs more, we’ll be happy to provide. Green tea has been proven to fight against harmful free radicals and cleanse the mind and bodies, helping one regain a healthy balance,” Shah said, adding that these green teas can help change Trump for the better.